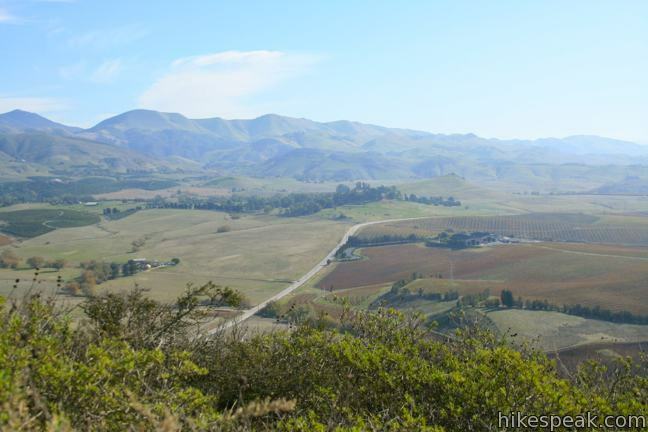 Islay Hill stands at the eastern end of the chain of volcanic plugs running across San Luis Obispo. 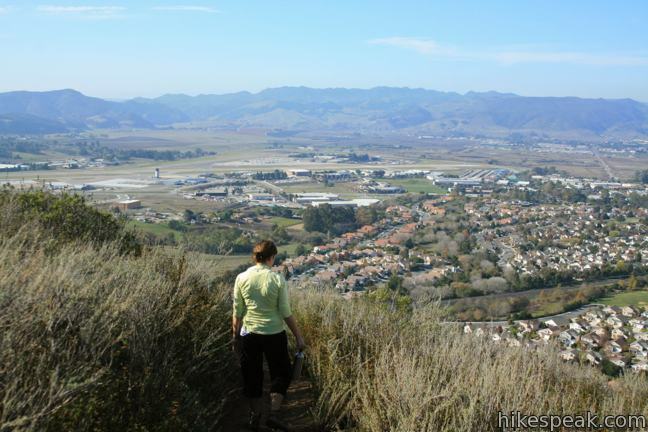 If Bishop Peak is the most iconic Morro, than Islay Hill is about the easiest to hike (with the exception of Black Hill). 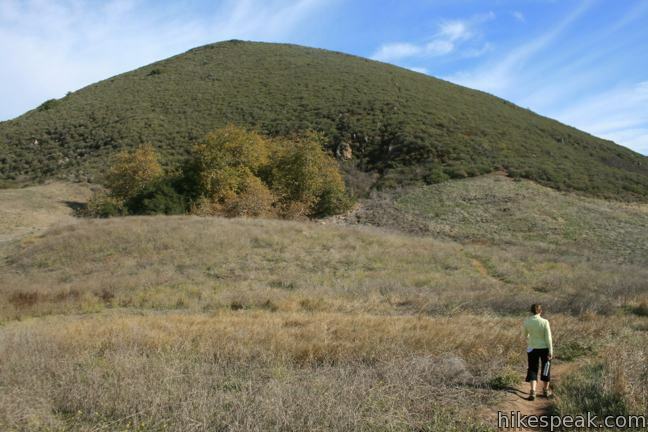 The dome-shaped 776-foot summit is more mound than mountain, but you will find 550 feet of elevation gain on the 1.8-mile round trip hike to the top. 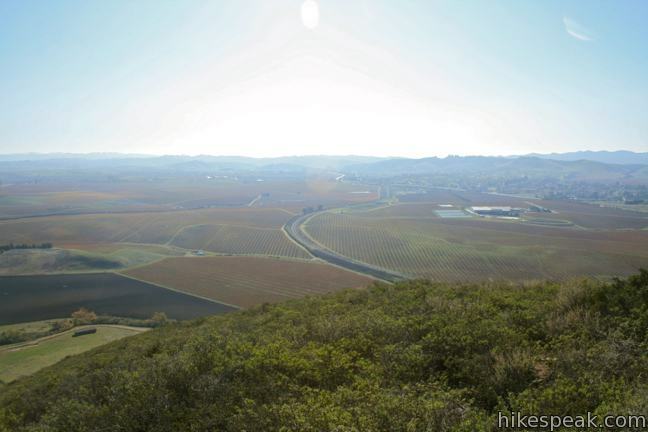 Since Islay Hill is farther east than any other Morro, it offers the closest perspective of the Santa Lucia Mountains and a panoramic overview of Edna Valley. 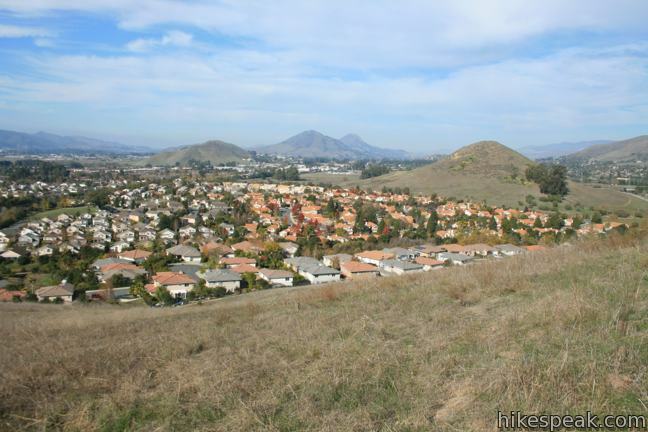 The hike begins from a residential cul-de-sac southwest of Islay Hill, four miles from downtown San Luis Obispo. Cross a wooden footbridge over a concrete ditch to find a dirt trail heading up the hill. With one switchback, the single track quickly climbs a grassy bluff, before tapering out and swinging past a cluster of oaks to find Islay’s northern slope. 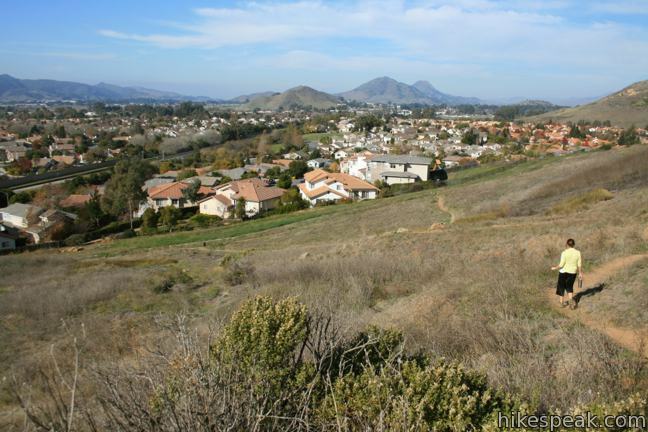 Sagebrush covers the hillside, offering clear views toward the South Hills, downtown San Luis Obispo, Cerro San Luis, and Bishop Peak. Stay to the right through a split in the trail, 0.6 miles from the start. The trail to the left descends 0.3 miles to an alternate trailhead on Huckleberry Lane. 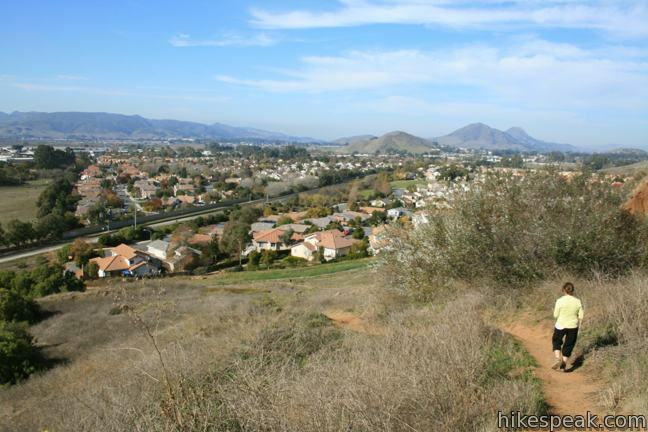 From the junction, the narrow trail climbs more aggressively to the east where the bucolic landscape below is framed by the Santa Lucia Mountains. A sharp switchback to the right announces the final ascent, a 0.15-mile push to the top. 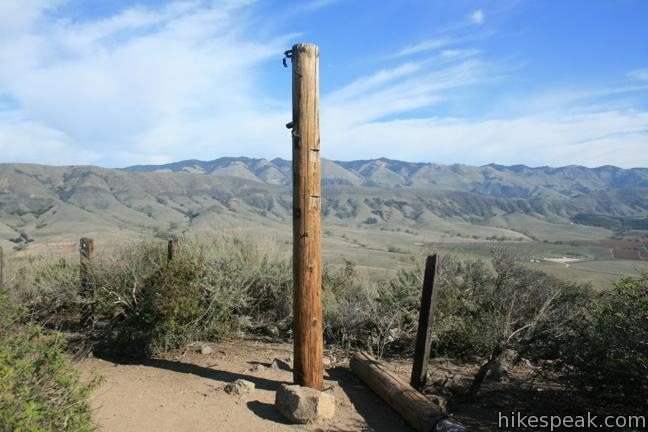 At the summit of Islay Hill, you will find a ten-foot tall wooden pole with iron climbing pegs that resembles the bottom of an electric pole. This fun hill-topper provides a unique climax to the hike. Climb the pole to get above the round summit of Islay Hill for a truly 360 degree view. 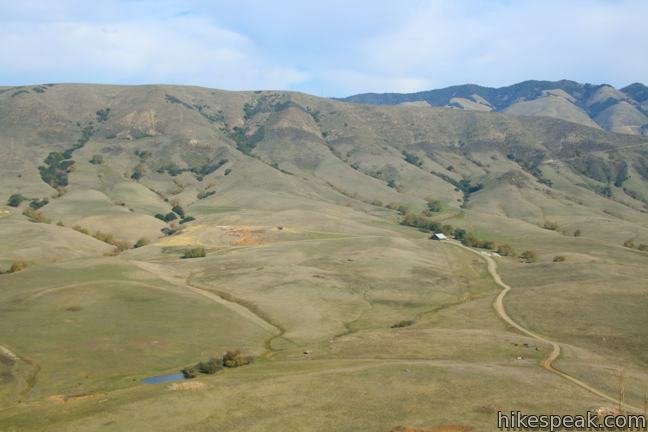 To the north and east are the Santa Lucia Range, an imposing wall of green mountains. 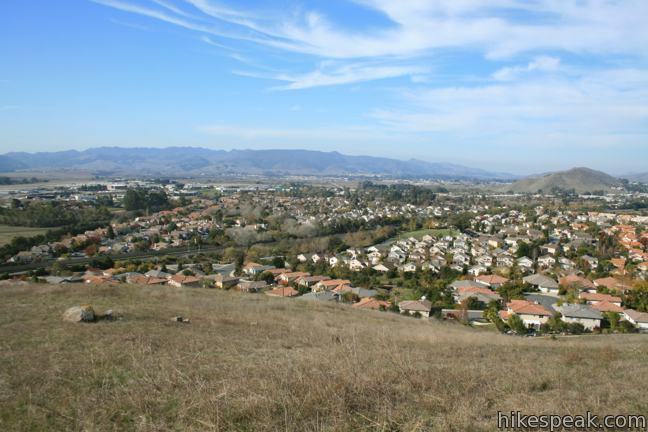 To the south is a tapestry of vineyards covering Edna Valley. 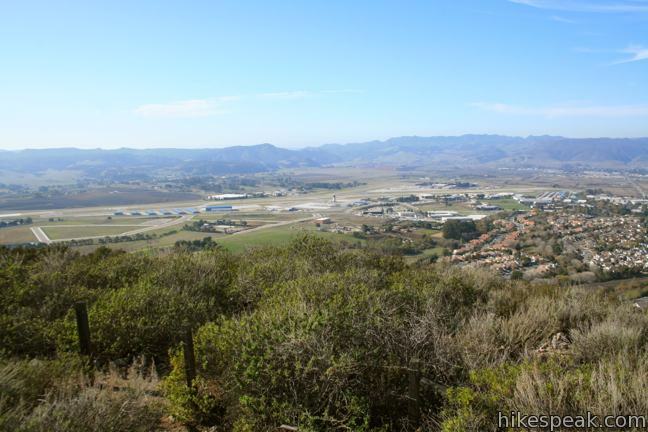 To the southwest is the San Luis Obispo Airport. 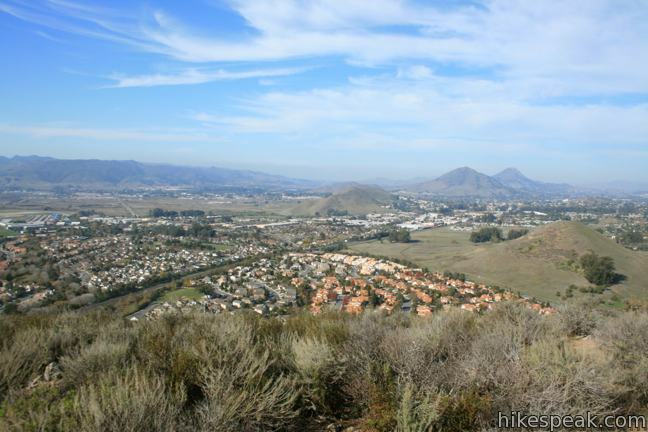 To the northwest is downtown San Luis Obispo and the more emblematic Morros of Cerro San Luis and Bishop Peak. 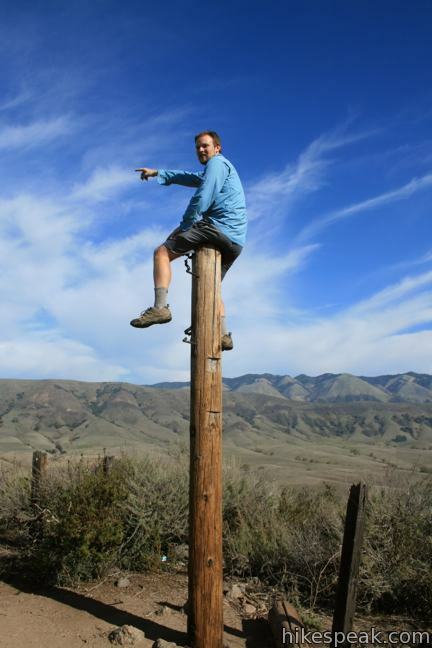 Hop off the pole and hike back the way your came. It is downhill all the way. Dogs are welcome on leash, but mountain bikes are prohibited. No permit is required to hike Islay Hill in Islay Hill Open Space, and roadside parking is free. 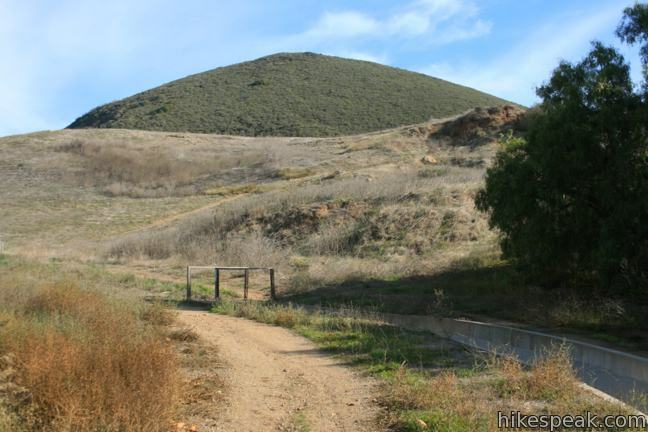 To get to the trailhead: From Highway 101, take exit 200 onto Los Osos Valley Road and go 0.3 miles east to Higuera Street. Turn left and drive 0.4 miles north to Tank Farm Road. Turn right and drive 2.7 miles to Wavertree Street (just before a bigger intersection with Orcutt Road). Turn right and drive 0.4 miles the end of Wavetree Street. Turn left on Spanish Oaks Drive and make an immediate right on Sweet Bay Lane. Park near the cul-de-sac at the end of the street. The trail begins from the end of Sweet Bay Lane. 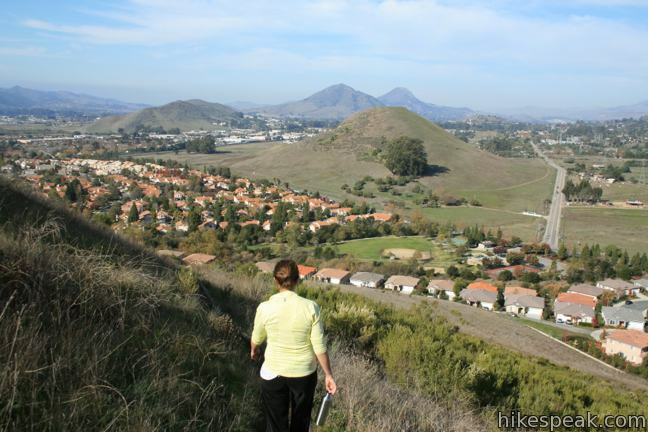 This 2.8-mile round trip hike rapidly ascends 1,275 feet up a rugged trail to a stone seating area at a summit with panoramic views. 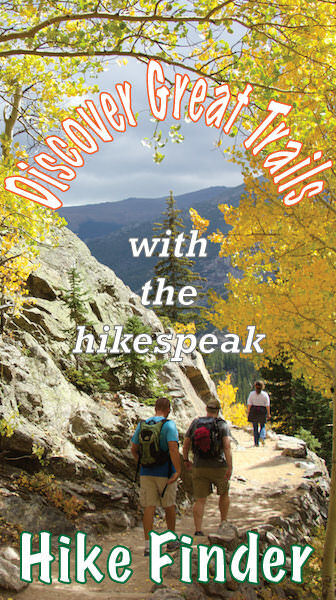 it is a great hike. Get to many different places. 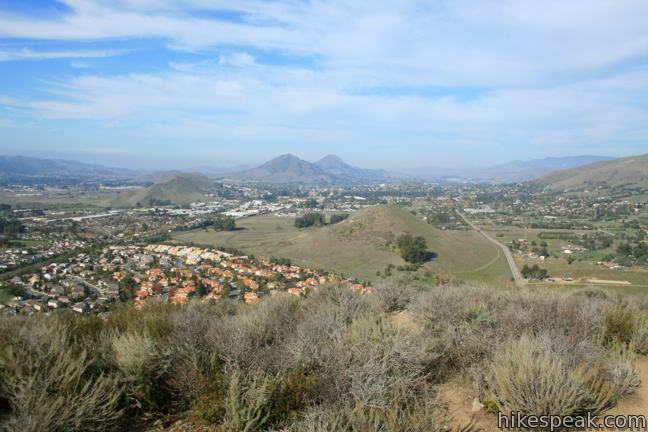 You should hike or jog it.